Following an unusually warm start to winter, professionals are predicting an early termite season and the Professional Pest Management Alliance (PPMA) stands ready to shout about termites from the rooftop. PPMA, which serves as the public outreach arm of the National Pest Management Association (NPMA), is asking for the industry to join in with their efforts to educate consumers on the importance of protecting against termites during Termite Awareness Week, March 10th-16th, 2019. 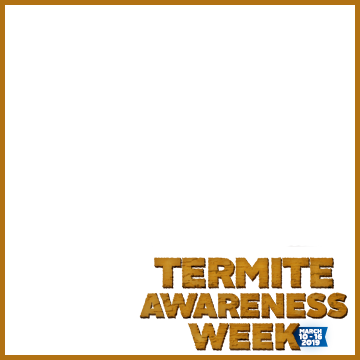 In honor of Termite Awareness Week, PPMA will build a new section on PestWorld.org to host all of the materials from the Tiny Termite House project, taking consumers on a visual journey from termite biology, to infiltrating a home and the devastation left in their wake. Be sure to check out PestWorld.org in early March for more information and to share or link to the content from your own channels. PPMA works to operate year-long, comprehensive marketing and communications programs and is funded solely through voluntary investments from pest control companies, suppliers and other industry leaders to grow, promote, protect and defend the professional pest management industry. In turn, the group gives back to its investors with exclusive access to ready-made marketing materials on PPMAMainframe.org. PPMA encourages investors to log on to access the 2019 Termite Awareness Week toolkit containing press materials, suggested social media posts, and photography that they can share as their own content with local media, customers and make available on their websites and social pages. For more information about PPMA and all its marketing programs or to subscribe to Mainframe, please visit http://www.NPMApestworld.org/PPMA. The PPMA was founded in 1997 to grow, promote, protect and defend the pest management industry. For more than 20 years, PPMA has served as the voice of the industry and continues to proactively provide the public with information and education on the value of professional pest management through its media relations, public service announcement, advertising and online communications programs it conducts on behalf of the National Pest Management Association. For more information, please visit PPMAMainframe.org or NPMAPestWorld.org/PPMA.